When parents are seeking to adopt a child internationally, it is important for them to understand the Hague Adoption Convention. This law helps protect children and requires inter-country adoption co-operation. This is essentially an international agreement that helps safeguard the intercountry adoption process. Established on May 29, 1993, in The Hague, the Netherlands, this convention seeks to establish international standards when countries participate in intercountry adoptions. The U.S. signed this agreement in 2004 and the Convention was officially enforced in April 2008. The Convention requires participating countries to establish a Central Authority and point of contact for information. For example, the Department of State is the U.S. designated authority. The Convention seeks to prevent and abolish the sale of, abduction or trafficking of children, helping work towards putting children’s needs first and foremost. The Convention supports and recognizes that intercountry adoption is an acceptable means to finding a permanent home for a child when a suitable option is not available domestically. This allows intercountry adoption to occur when the child is deemed eligible by the child’s country of birth and the proper efforts have been given to provide a domestic home for the child. The Convention also helps ensure that formal international and intergovernmental recognition of these forms of adoption are recognized and given the proper effect in participating countries. Accredited Adoption Agencies are required under the Convention, helping prospective adoptive parents know they are working with a reputable agency that is professionally licensed and has a high standard of ethics. Transparency is also a requirement, as countries participating in the Convention must disclose and itemize all adoption-related fees ahead of time. The Convention also offers a formal complaint procedure against accredited adoption agencies. The U.S. issues adoption certificates after all Convention requirements have been met. The U.S. consular office will also determine a child’s visa eligibility prior to adoption finalization. This allows parents to know ahead of time if the child will be able to enter the U.S.
Forms and visa categories are regularly updated. Forms I-800A and I-800 are required completion materials for prospective parents prior to adopting. 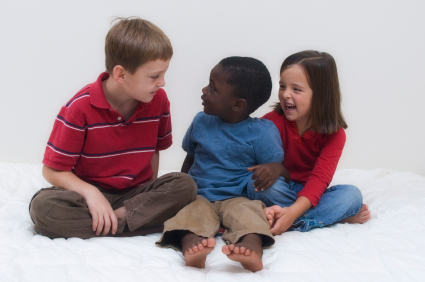 Heart to Heart is a Utah adoption agency that specializes in domestic adoptions within the U.S. They offer help for birthmothers looking for abortion alternatives, including private adoption and open adoption options.